Protek Wrap® PW32 35lb./57 gsm natural kraft. General protection of ferrous metals. 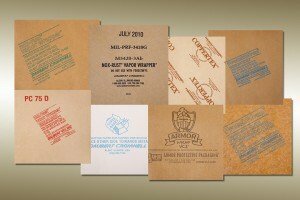 Protek Wrap® PW33 35 lb./57gsm natural kraft with specially formulated wax. Enhanced molding and barrier properties. Ideal for hand wrapping small parts. Military Spec 705 Zerust Heavy Duty Kraft/Foil Class 1, Style C, form A. Kraft Foil with Polyethylene and can be made into bags. On the QPL for MIL-PRF-3420. Uniwrap® MPI Uniwrap 35 MPI 35 lb./57 gsm natural kraft. Protects ferrous and non-ferrous metal combinations including cadmium and zinc galvanized steel. Coppertex® 35 lb./57 gsm natural kraft. Protects copper, brass, bronze and other copper alloys. Nitrite-free. VCI polyethylene film Heat sealable, low density polyethylene 4 mil film with proprietary blend of contact and volatile corrosion inhibitors blended in the film. Multi-metal protection. Military Spec Ferro-Film XP Military approved, high strength, poly film with exceptional puncture strength for protecting ferrous metals. 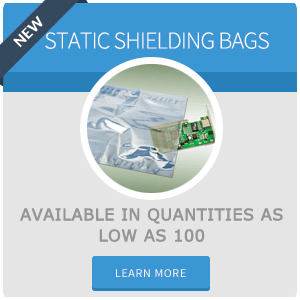 On the QPL for MIL-PRF-22019 VCI film and MIL-PRF-22020 VCI bags.